This month’s picks take a close look at Britain with the two histories by Simon Jenkins and David Edgerton, covering the entire timeline of England in the former and closely examining the 20th century of the wider British project in the latter. Elsewhere the recent non-coup in Zimbabwe is covered in Panashe Chigumadzi’s These Bones Will Rise Again and post-Soviet Russia society is looked at in The Future Is History by Masha Gessen. Finally, inspired by the American campaign promise, still unbuilt and overshadowed by looming midterms and a special counsel, David Frye gives us the history of Walls. These bones will rise again / Panashe Chigumadzi. Trading in war : London’s maritime world in the age of Cook and Nelson / Margarette Lincoln. Indianapolis : the true story of the worst sea disaster in US naval history and the fifty-year fight to exonerate an innocent man / Lynn Vincent and Sara Vladic. 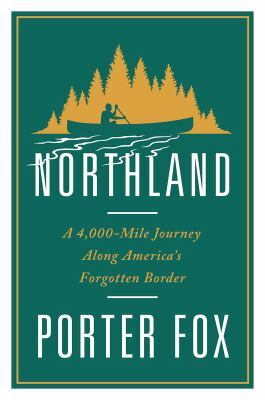 Northland : a 4,000-mile journey along America’s forgotten border / Porter Fox. The rise and fall of the British nation : a twentieth-century history / David Edgerton. Secret nation : the hidden Armenians of Turkey / Avedis Hadjian.